In college I had a roommate who always had a boyfriend—always. Boys just liked her, lots of them. She was cute, smart, and fun but there was more to it and it didn’t take me long to figure out why so many boys liked her. She simply, openly, adored them. My roommate genuinely saw the best in everyone and she told them. If a guy was strong, she told him. If he was smart, she told him. If he was sweet, she told him. It wasn’t manipulative on her part. She was just as complimentary and encouraging to girlfriends, teachers and everyone else. Adore by definition means to regard with the utmost esteem, love, and respect. Men, especially, crave that intoxicating combination of respect and admiration; it’s just the way they’re wired. In the same way, much has been written about how women are wired to crave love. So, my thought is this… if you give your honey some sweet adoration, you might really enjoy what comes back—a little more lovin’! 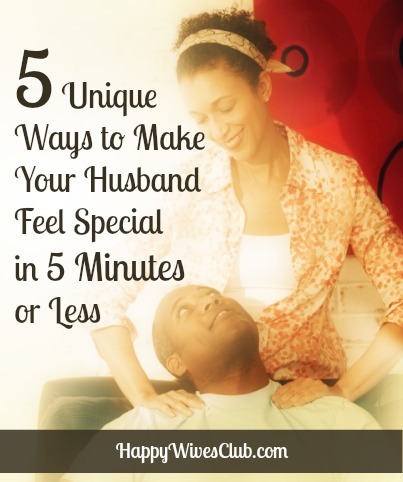 Even if you don’t feel like adoring your husband, try! I confess it is not easy for me; I am not the adoring type. But he needs it and it will make him a better, more confident man. 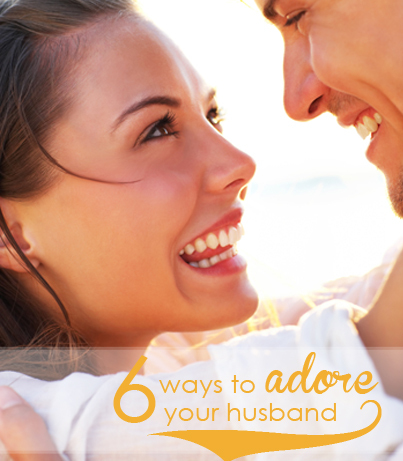 Here are my ideas on 6 ways to love your husband with adoration. 1. Adore Him Unconditionally. Don’t wait to adore him until he’s nicer, makes more money or is more affectionate with you. The key is to love him as he–even if he’s not 100 percent adorable. 3. Adore Him Physically. If you don’t adore him in this area, who will? This is something only the two of you share. You don’t have to wait until you’re in bed together; whisper a compliment at breakfast: “I was thinking about last night and how great…” You get the idea. 4. Adore Him By Listening. Men like and need their wife’s attention. When you listen well you will become his confidant and gain greater access to what he struggles with and needs encouragement about. 5. Adore Him By Putting Him First. You can’t tell your 3 year old to wait while you give your husband a back massage. 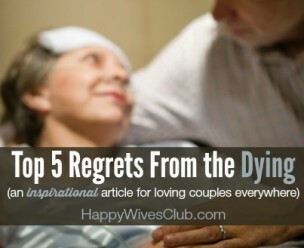 But, you can find creative ways to carve out time for him. 6. Adore Him So Others Can See It and Hear It. A compliment given at home is one thing; a compliment given in front of others is magnified big time. 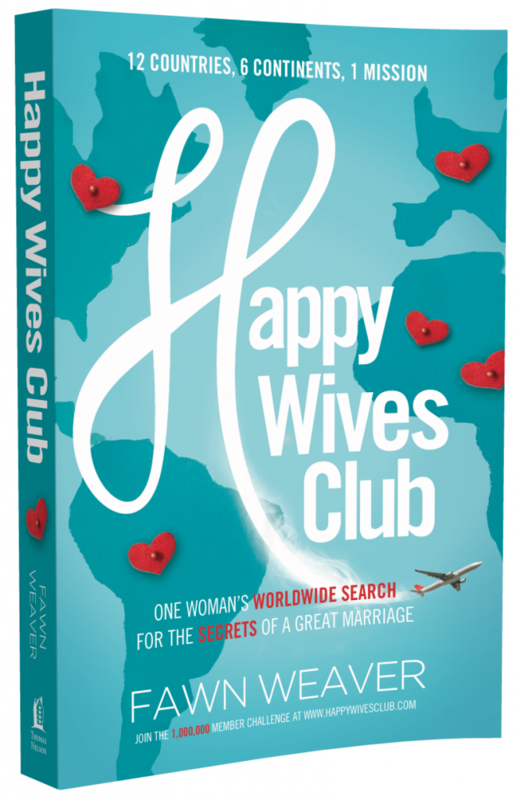 So the next time you’re out with your husband with friends or family, build him up in front of everyone. 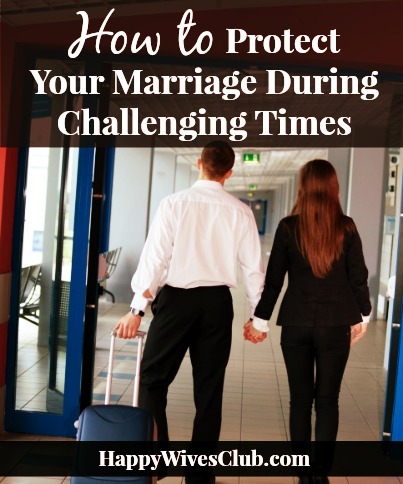 QUESTION: I am going to challenge myself to adore my husband in a different way every day for a week. I’m one idea short, so how do you adore your husband? 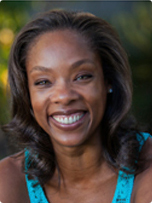 Susan Merrill, author of “The Passionate Mom,” is wife and mother of five. She is director of iMOM.com, want-to-be blogger, and the “very imperfect” Merrill family manager. Susan lives in Tampa, Fla., with her husband, and two or, depending on the day, up to five of her children ages 17 to 22. On those days she happily forsakes all other responsibilities to run a bed and breakfast /laundromat for her college-aged children. Read more about her adventures in mommy world at www.susanme.com and follow her on Instagram, Twitter, and Facebook.